Draw a curved line beneath the nose. Connect it to the nose using a short, straight line. 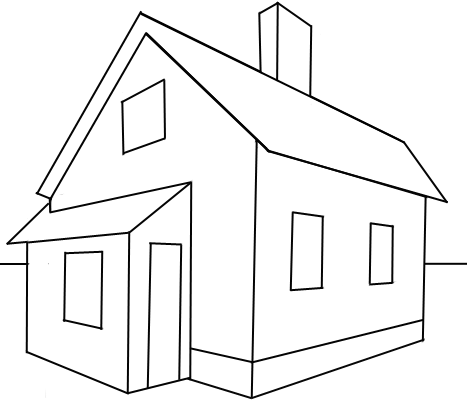 Draw a second curved line beneath the first, enclosing an irregular shape. To the left of the circle, draw a series of short, curved lines. Allow the lines to connect in jagged points, forming a ruff of fur. 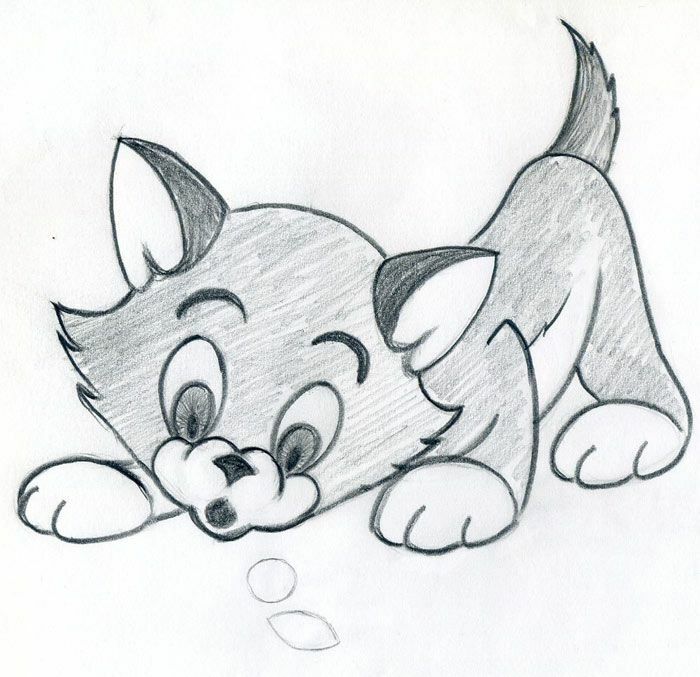 Draw several curved lines upward from the bottom of the mouth, allowing them to meet in sharp points. 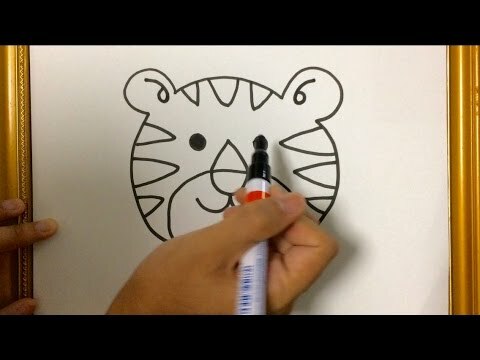 Connect the bottom of the figure using a series of short, curved lines. The lines should meet in jagged points. Draw two curved lines at the top of each ear, meeting at a point on each end. Shade the curved shape. 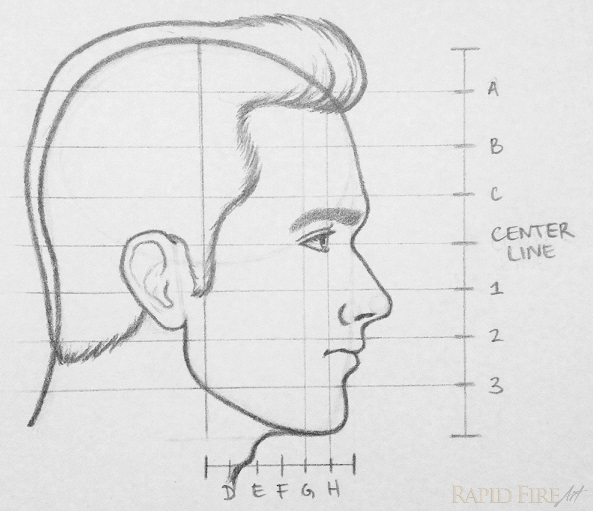 Below this curve, draw several short, curved lines to give detail to the ear. 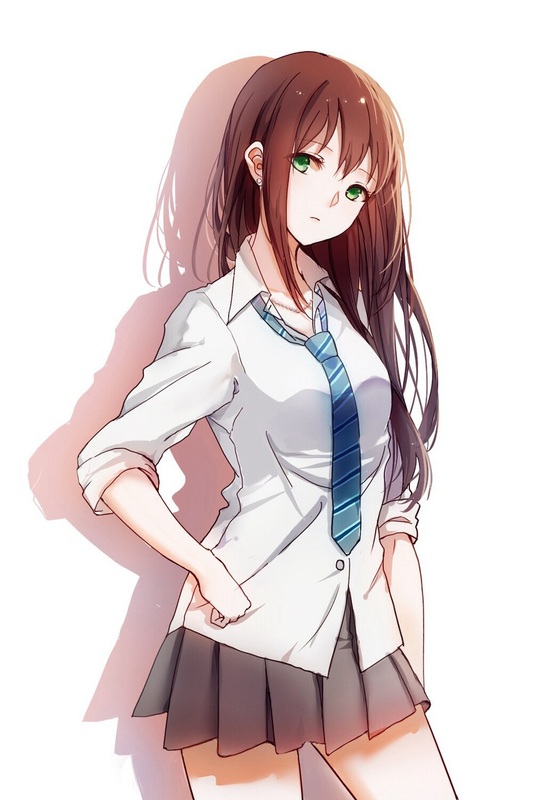 Draw several more curves across the top of the head. Shade the curved shapes. Extend several curved lines downward from the top of the mouth. Allow the lines to meet in sharp points, forming teeth. The teeth on the far left and right should be longer than the others. From the corner of each eye, extend several curved lines to form the bridge of the nose. Draw an enclosed, curved “T” shape using several curved lines. 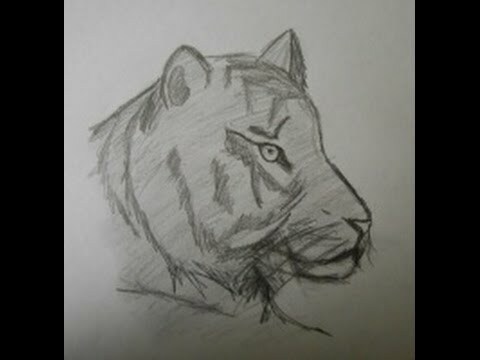 Draw a series of enclosed shapes on the right side of the tiger’s face using curved lines. The shapes should be narrow and end in a point on each side. Draw a triangle extending below the eye. Shade the shapes. Draw a series of curved lines within the mouth, passing behind the largest teeth. These lines will form the tongue and indicate the opening of the throat. If you liked this tutorial, see also the following drawing guides: Cartoon Cow, Bear, and Cartoon Pig. Repeat this process of drawing and shading to produce a mirror image on the opposite side. 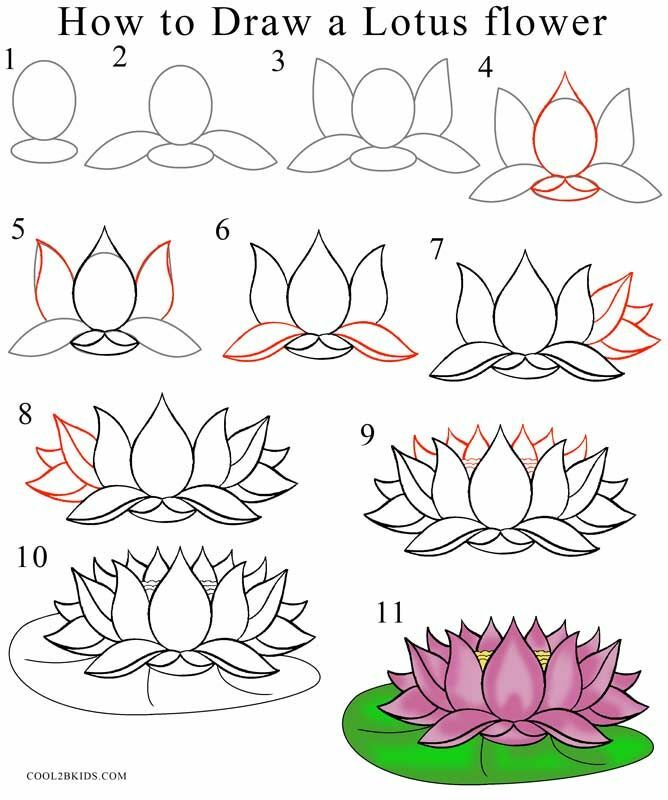 Each step of this simple drawing guide is illustrated. In each picture, new lines added in that step are highlighted in blue, while lines from previous steps are shown in black. You may want to sketch lightly at first, as you will need to erase some of your early lines, called guide lines, as you go along. 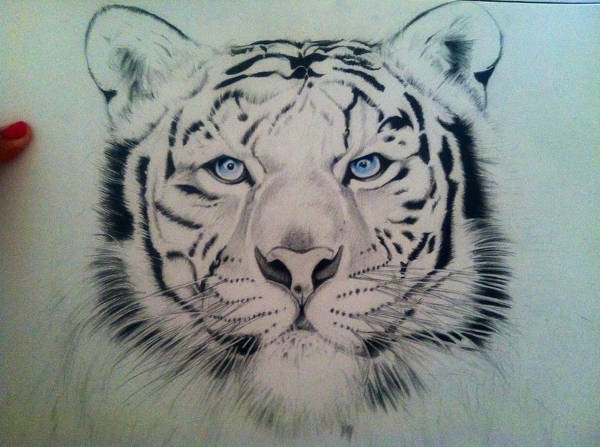 Color your tiger. 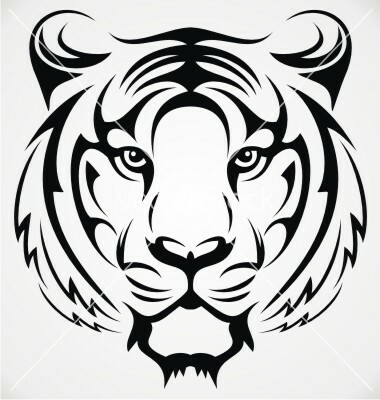 Tigers are typically either white or orange in color with black stripes. 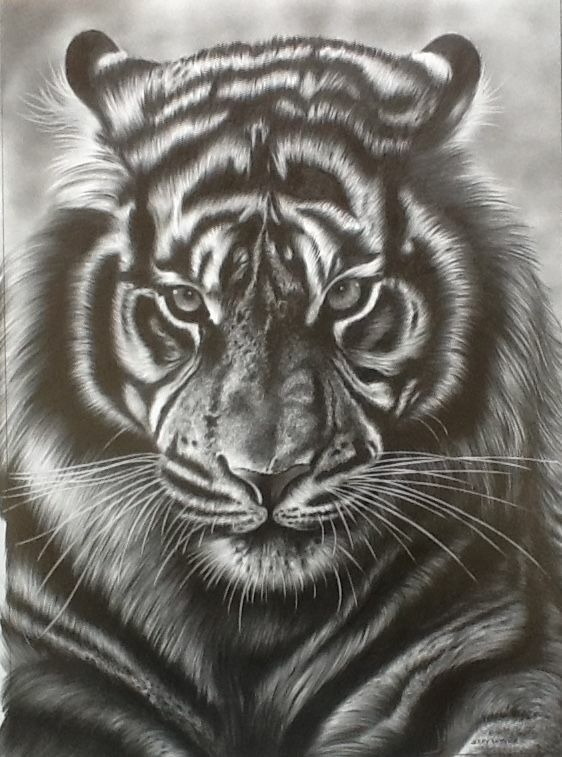 Would you like to draw your very own tiger? Now you can, by following this easy, step-by-step drawing tutorial. All you will need is a pencil and a piece of paper. 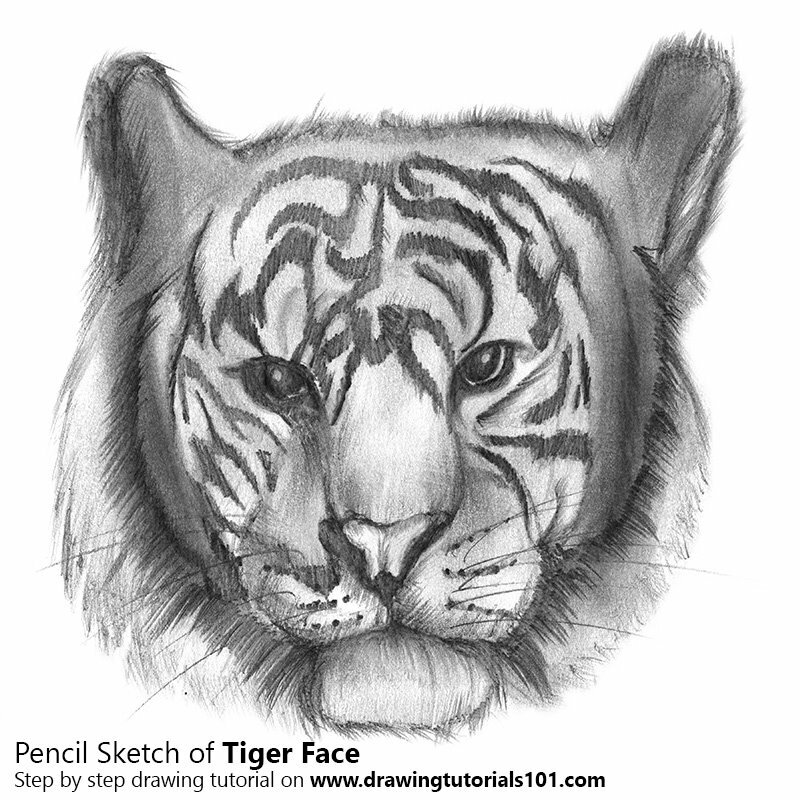 You may also want to use an eraser to correct any mistakes, and crayons, colored pencils, or markers to color your completed tiger face. Draw a circle within each eye. Draw a tiny circle within the first, and shade between the two circles. Shade the area between the mouth and the tongue. Connect the tops of the lines using a series of curved lines. Each side will include a sideways “U” shaped line to form the ears. Draw thick, curved lines extending upwards from the sides of both eyes. Below the curved shapes, draw the eyes. Each eye will consist of two curved lines. Allow the top line of each eye to extend beyond the bottom line on both sides. 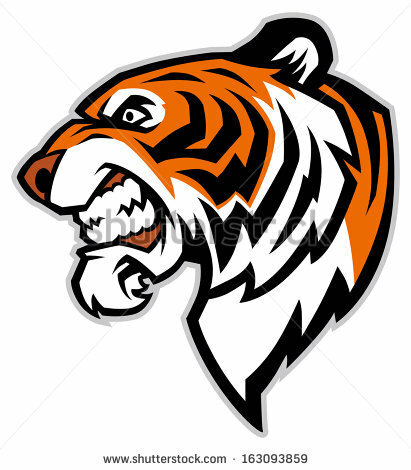 Draw a thick, zigzag shaped stripe on both sides of the mouth. 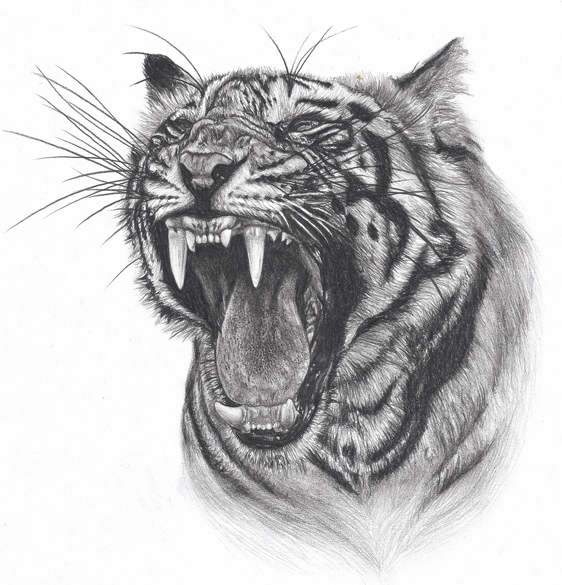 Draw several thick, curved lines on each side of the nose to indicate that the face is wrinkling in a snarl. 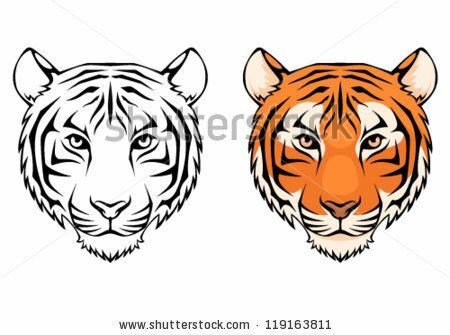 Draw two more stripes at the top of the head. 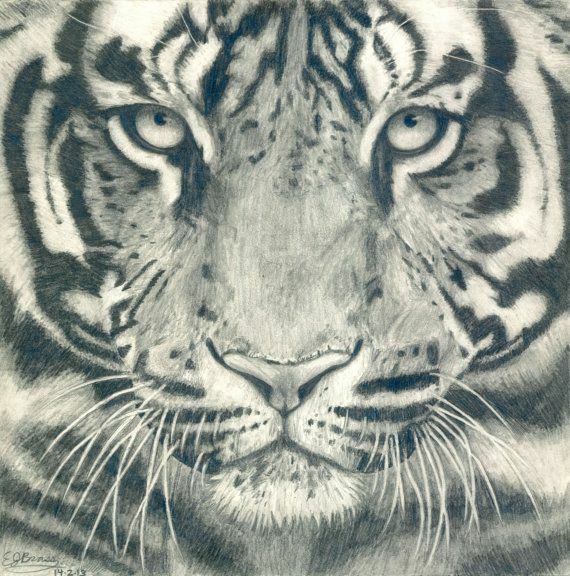 Bengal and Siberian tigers (Panthera tigris) are well known and much beloved for their striking striped coats. 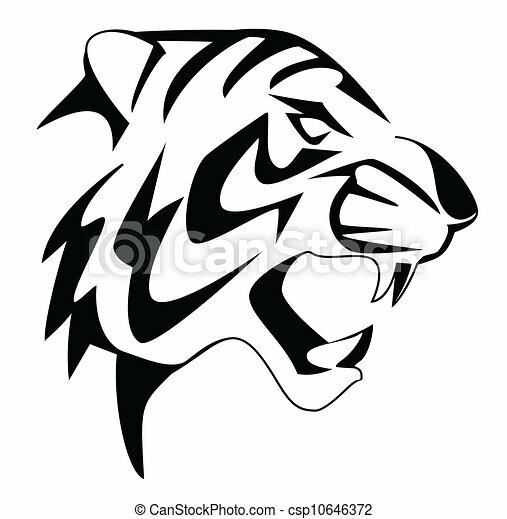 Tigers are huge jungle cats, weighing up to 675 pounds. 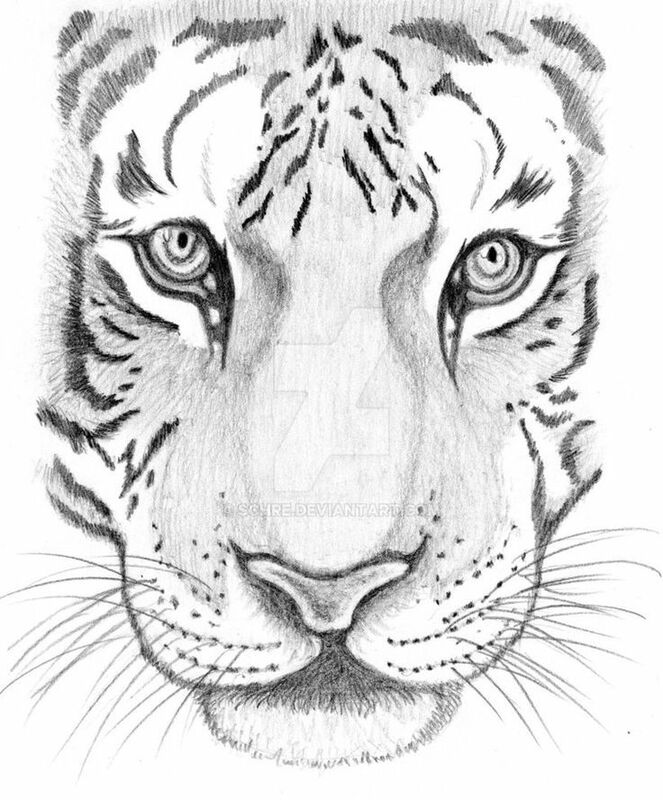 Tigers are also an endangered species – there are only a few thousand tigers left in the world. 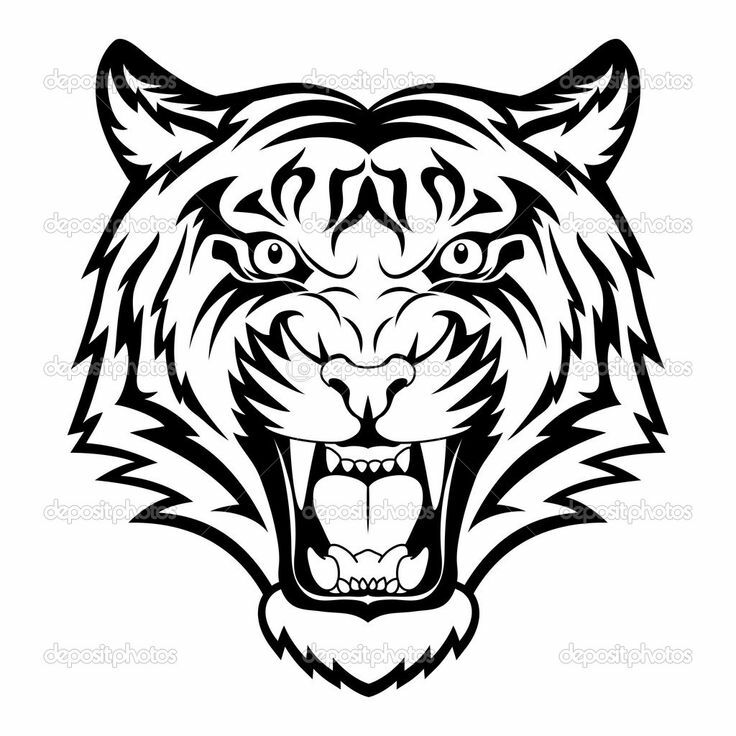 The face of an angry, roaring tiger is used in the art of many of the Asian countries that the tiger once called home, such as South Korea and China.